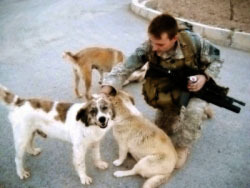 Target, Rufus, & Sasha, stray dogs in Afghanistan that hung around a U.S. base, sensed something wasn’t right about a man wearing an Afghan Border Police uniform. They started barking and then attacked what turned out to be a suicide bomber trying to enter the base The bomber was forced to detonate before he had gained entry. 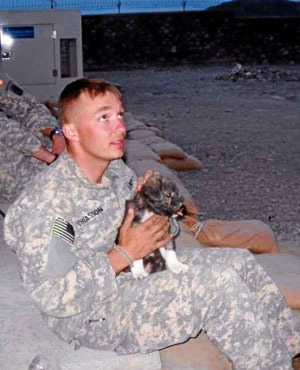 Sadly, Sasha was mortally wounded and had to be euthanized, but no soldiers were killed. 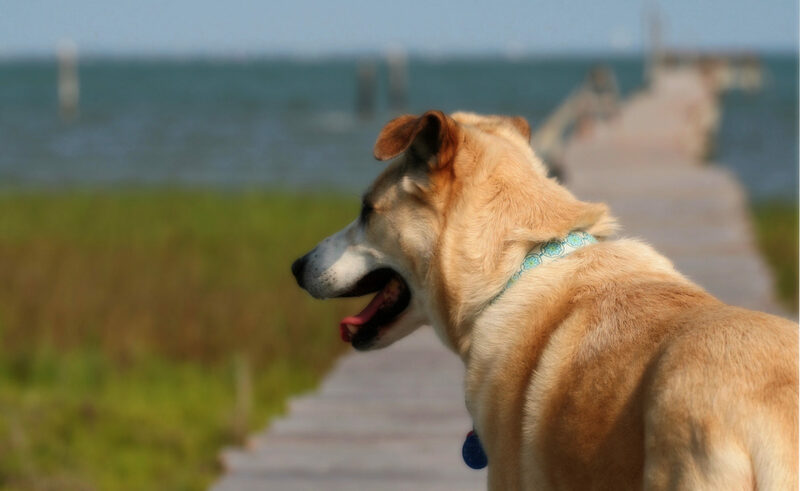 Now Rufus will be living in the U.S. with Sgt. Christopher Duke, one of the soldiers who was saved. And Target will be living with a medic from the base. Duke notes the irony that it wasn’t weaponry or equipment that stopped the bomber, it was just ubiquitous, stray dogs.